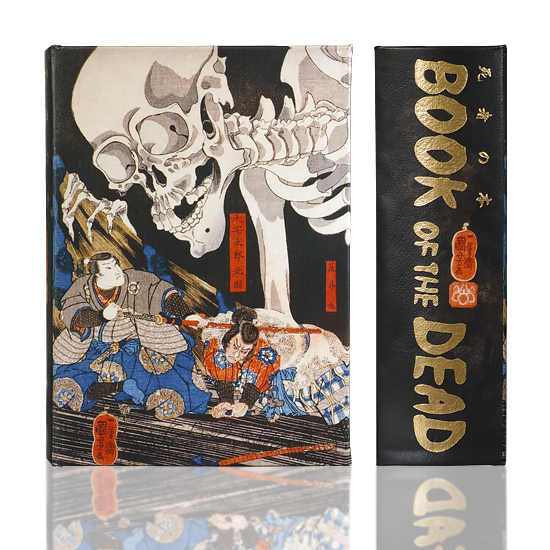 Book Box titled "Book of the Dead", also in Japanese, debossed gold foil. 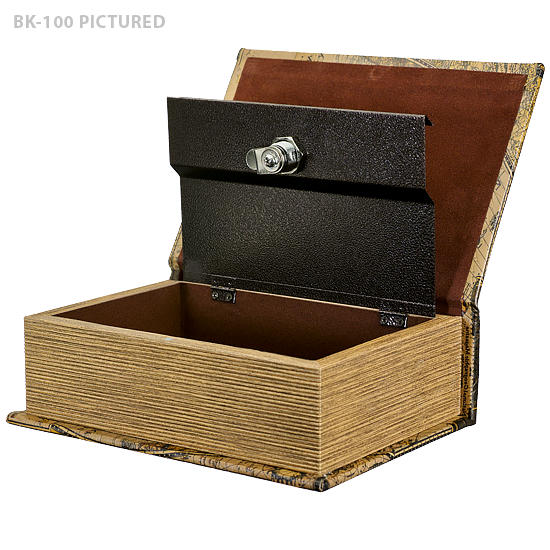 This book box features artwork by Utagawa Kuniyoshi, the polychrome woodblock print is originally titled "Apparition of the Large Skeleton, Haunted Soma Castle" ca. 1844. 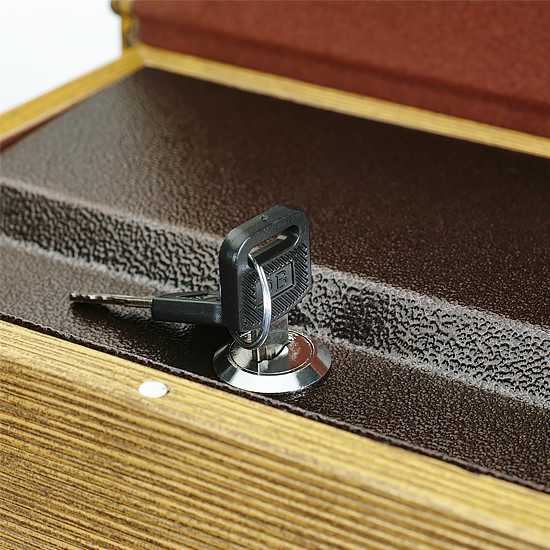 This is a safe box, with locking metal plate and set of keys (2).